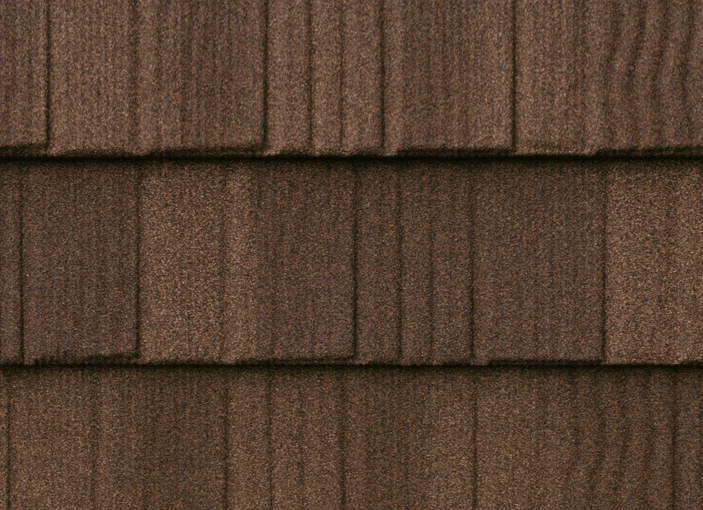 or shingle style to provide you the optimal roof solution. 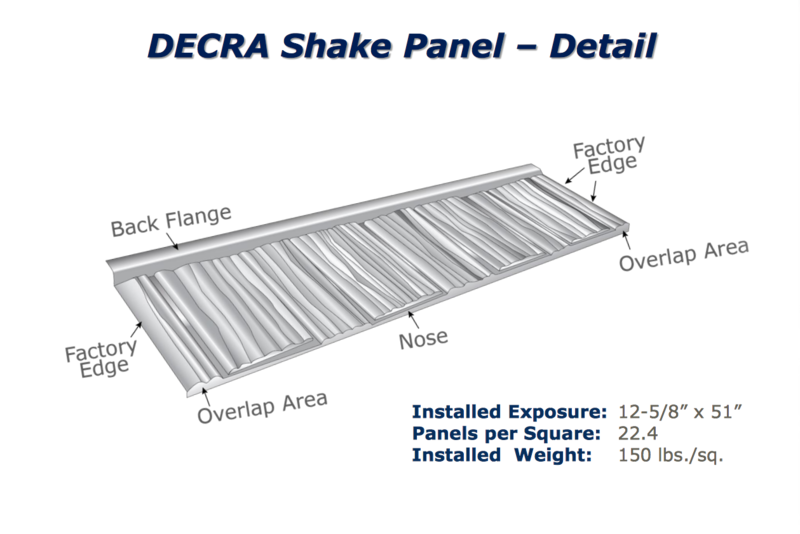 DECRA panels have a unique interlocking design that withstand high winds while adding shear strength. DECRA roofs are a proven system, excelling through some of the harshest weather conditions around the world for over 50 years. Steel is strong and non-combustible (Class A Rated material),* making it an outstanding performer when it comes to hail and re. The interlocking panels won’t crack, break, warp, curl or split and they are covered by a transferable Lifetime Limited Warranty, including peace of mind coverage for winds up to 120 MPH and hail penetration. A DECRA roof is durable, freeze-thaw resistant and will offer richness and beauty to enhance your home. With the severe weather conditions we have been experiencing, now is a great time for a DECRA stone coated steel roof to protect your home and family.